Morrissey Accuses Gun-Wielding Police Officer of Threatening Him in a "Deliberate Act of Terror"
"I know the law, I know my rights, and you have no reason to stop me"
From the world's politicians, to his fellow musicians, Morrissey rarely shies away from taking aim at anyone he sees fit. However, the vocalist is accusing a police officer of literally doing just that while in Rome. Through a Facebook post made by Morrissey's nephew and photographer Sam Etsy Rayner, the vocalist accused a Roman officer of threatening him outside a Nike store in the city last night (July 4), adding that he "believed he was about to shoot me." The post alleges that the officer stopped Morrissey outside the store for a total of 35 minutes "demanding papers," saying the official held his gun while a crowd gathered. A paragraph in the post attributed to Morrissey says "this was a deliberate act of terror by this Officer, who had no personal identification, but whose Polizia 113 motor-bike had the plate G2458. I had not broken the law or acted suspiciously. The officer unlocked his gun and held it as he screamed into my face." His quote continued, "Some people came to my rescue. This happened outside the Nike store, and many people filmed the obviously insane officer. I believe he recognized me and wanted to frighten me. I did not back down even though I believed he was about to shoot me. I urge people to beware of this dangerously aggressive Officer. He might kill you." UPDATE (7/6, 1:40 p.m. EDT): According to a follow-up report from La Repubblica, Morrissey is sharing a very one-sided story. The report states that the reason the confrontation with police occurred was due to Moz and his nephew speeding down a one-way street in the wrong direction, leading the police officer to confront the pair. When the officer apparently asked for identification as part of Rome's anti-terror efforts — something that's standard procedure — that's when things got ugly. However, police dispute the allegation that the officer threatened the singer with a gun. 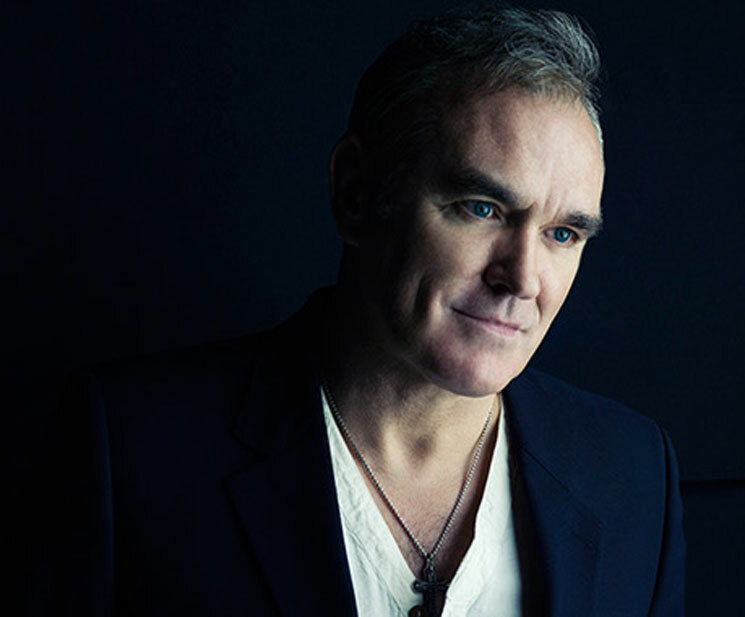 As a result of the whole thing, Morrissey has now cancelled his upcoming Italian tour dates.